The vote on a proposed new police and fire academy has hit another potential snag. NBC 5's Mary Ann Ahern reports. After Wednesday’s move to defer a vote on a new police academy on the city’s West Side, a new lawsuit is threatening to delay that vote even more. Originally, Mayor Rahm Emanuel called for a rare Friday afternoon meeting to discuss the proposal, which does have strong support on the city council, but the “No Cop Academy” coalition filed a lawsuit, saying that rules state the council must discuss the proposal at a normally scheduled meeting. Some residents in the area, as well as a pair of city aldermen, are against the academy, saying that the $95 million price tag is much too high with other city services being slashed. “The mayor has closed 50 schools and six mental health clinics, and we’ve been told that the money is not there for our communities,” 35th Ward Ald. Carlos Ramirez-Rosa said. Alderman David Moore of the 17th Ward has also spoken out against the academy. Even still, there are plenty in the community that support the proposal, saying that increased police presence and more construction jobs would be worth the cost. “People will stay in the community and not move out,” resident Rosetta Guy said. 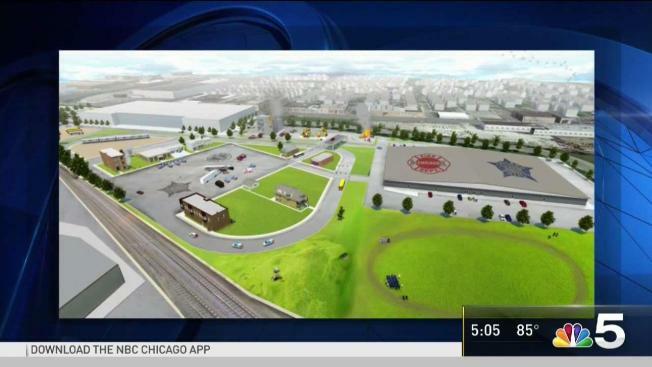 The facility is planned on vacant land in the 4300 block of West Chicago Avenue, and residents who live nearby largely support the development. “More police presence is definitely good around here,” resident Shequeena Brandon said. It’s unclear when the meeting, or a potential vote, will take place.